Being able to see and understand the devices you have in Ubidots is critical to a successful application. Toggle between gridded cards or a pre-defined table view to stay informed. 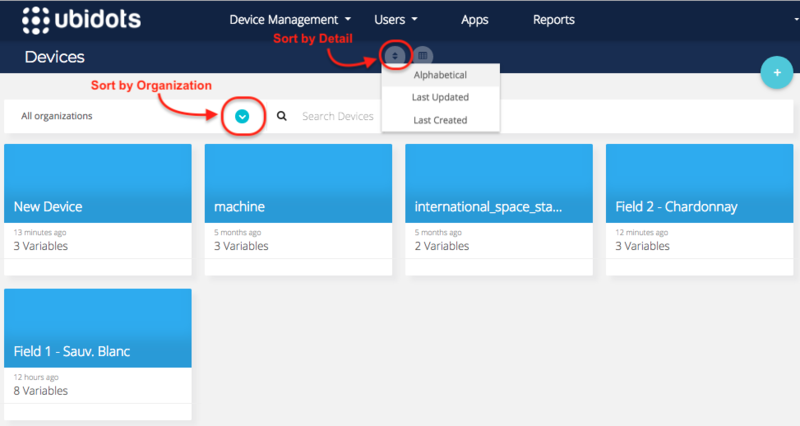 And, sort through dozens of devices easily with pre-defined and specific search fields.